Chocolate and pizza are two staples nobody should be without. Valentine’s Day is no exception. 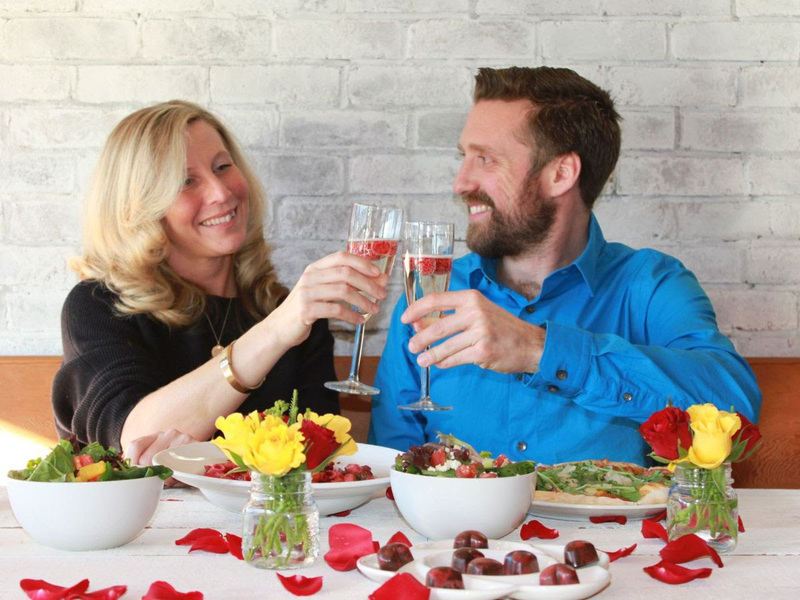 Here is a press release by Rocky Mountain Flatbread about their Valentine’s Day offering. There is nothing about wine in the press release but they do have BC wine. Here is the link to their Drinks page in Kitsilano. Enjoy. Vancouver, BC – Sweet dreams are made of pizza and chocolate on Valentine’s Day at Rocky Mountain Flatbread! Chef Oliver Zulauf has created a delicious 3-course Valentine’s Day dinner menu with handmade raw chocolate pairings from Koko Monk Chocolates.